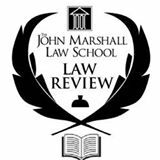 “The Nuremberg Tribunal v. The Tokyo Tribunal: Designs, Staffs, and Operations.” John Marshall Law Review. Volume 43, Issue 3 (Fall 2010). 753-68.